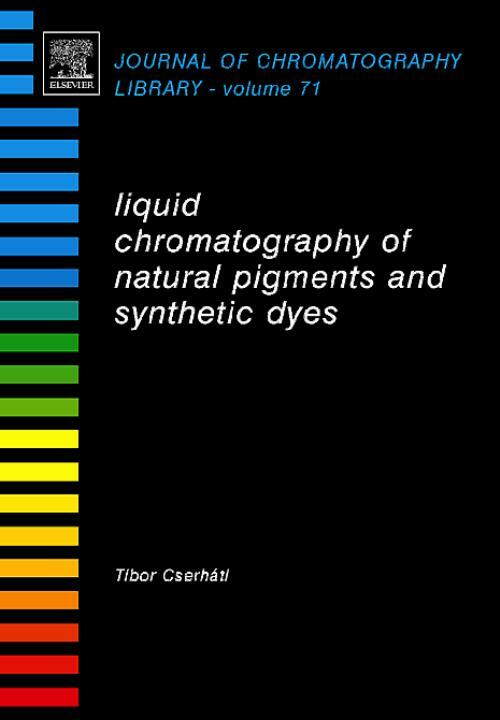 This latest volume in the series entitled Liquid Chromatography of Natural Pigments and Synthetic Dyes presents an overview of the latest developments in the field while critically evaluating this method of analysis and providing comparisons of the various liquid chromatographic separation techniques that are currently available. Natural pigments and synthetic dyes are extensively used in various fields of everyday life including food production, textile industry, paper production, agricultural practice and research and water science and technology. Besides their capacity for increasing the marketability of products, natural pigments have shown advantageous biological activity as antioxidants and anticancer agents. On the negative side, synthetic pigments have a significant impact on the environment and can cause adverse toxicological side effects. Both pigment classes exhibit considerable structural diversity. As the stability of the pigments against hydrolysis, oxidation and other environmental and technological conditions is markedly different, the exact determination of the pigment composition may help for the prediction of the shelf-life of products and the assessment of the influence of technological steps on the pigment fractions resulting in more consumer friend processing methods. Furthermore, the qualitative determination and identification of the pigments may contribute to the establishment of the provenance of the product. The unique separation capacity of liquid chromatographic (LC) techniques makes it a method of preference for the analysis of pigments in any complicated accompanying matrices.